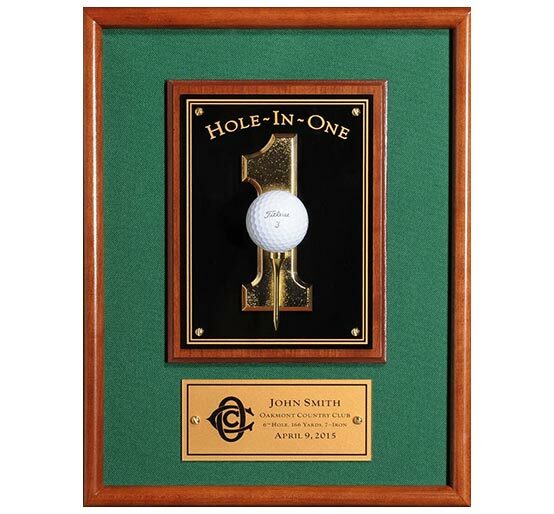 Commemorate the shot of a lifetime with a custom award from Morell Studios. 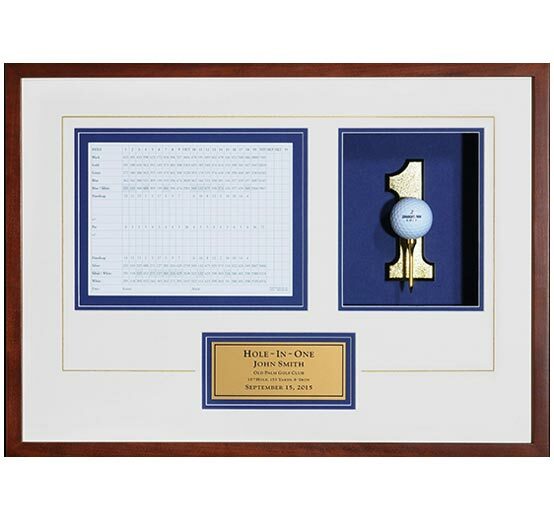 Commemorate the shot of a lifetime with a custom award from Morell Studios. 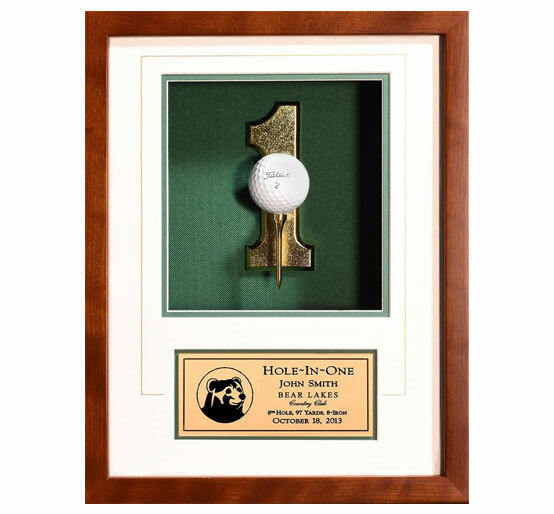 We offer a variety of hole-in-one options starting at $85. 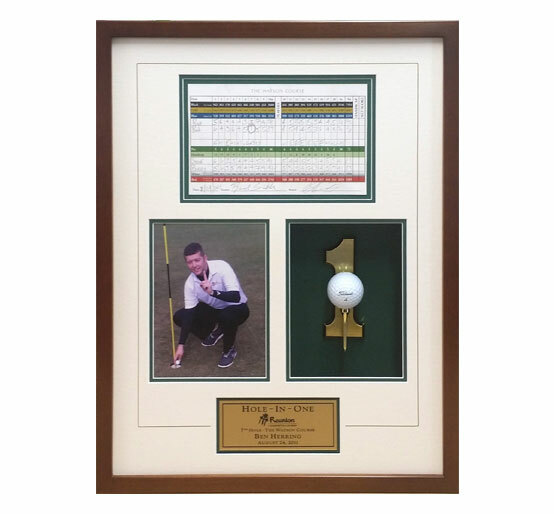 Our shadow boxes can feature the actual hole-in-one ball or a photograph of the hole. 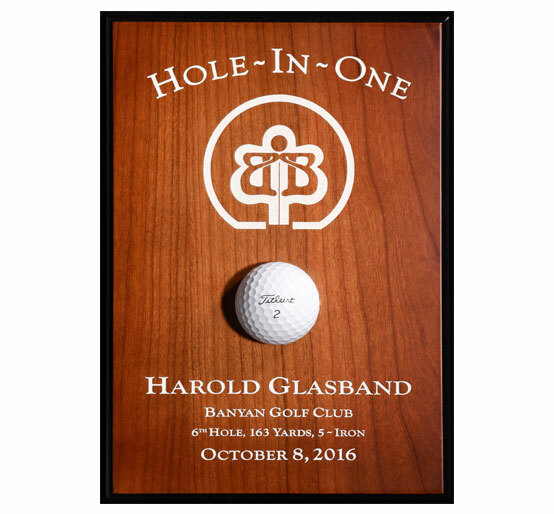 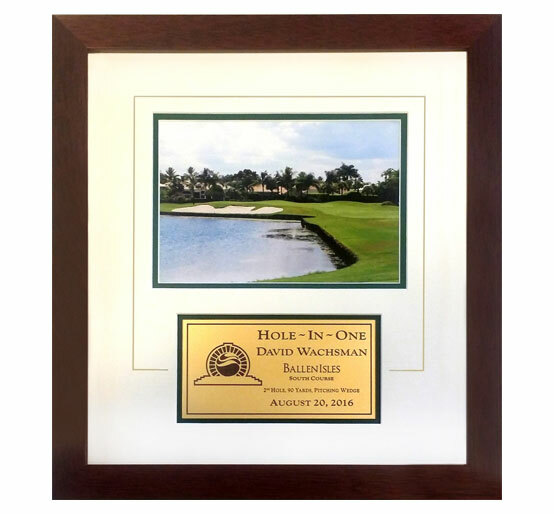 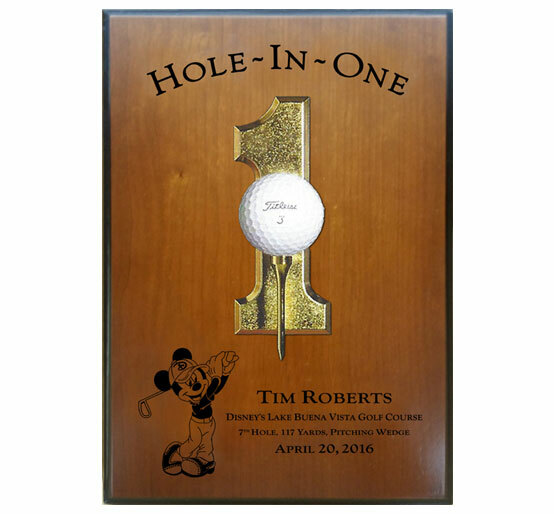 Custom hole-in-one shadowboxes can include the scorecard or pictures to commemorate the shot. 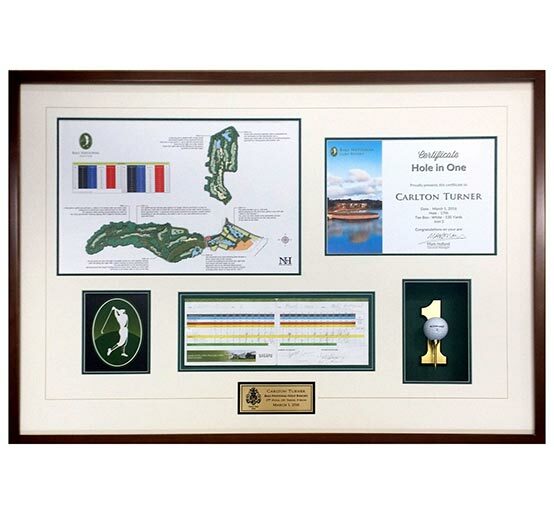 Color choices of the background color include green, black, burgundy and blue.